Anthony "Tony" Dalton Roche, AO MBE (born 17 May 1945) is a former professional Australian tennis player, native of Tarcutta. He played junior tennis in the New South Wales regional city of Wagga Wagga. He won one Grand Slam singles title and thirteen Grand Slam doubles titles, and was ranked as high as World No. 2 by Lance Tingay of The Daily Telegraph in 1969. He also coached multi-Grand Slam winning World No. 1s, Ivan Lendl, Patrick Rafter, Roger Federer, Lleyton Hewitt and former World No. 4, Jelena Dokic. Roche started to play tennis at school when he was nine. His father, a butcher, and mother were recreational tennis players and encouraged his interest. Roche grew up playing in Australia under the tutelage of Harry Hopman, who also coached other Australian tennis players such as Rod Laver and Ken Rosewall. A left-hander, Roche had a successful singles and double career. 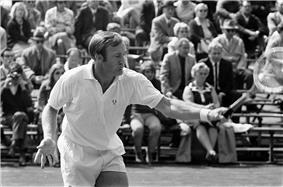 He won one singles Grand Slam tournament, the 1966 French Open at Roland Garros, defeating István Gulyás in the final. He was five times the runner-up at Grand Slam tournaments: the French Championships in 1965 and 1967, losing to Fred Stolle and Roy Emerson respectively, Wimbledon in 1968, losing to Rod Laver, and the US Open in 1969 and 1970, losing to Rod Laver and Ken Rosewall. With compatriot John Newcombe, he won 12 Grand Slam men's doubles tournaments. In January 1968, Roche turned professional, signing with World Championship Tennis, joining other pros like Cliff Drysdale, Nikola Pilić, and Roger Taylor to form the "Handsome Eight". Perhaps one of his greatest achievements came in 1977, being called up to play singles in the finals of the Davis Cup tournament versus Italy, nearly 10 years since he had last played for Australia. In the tie, Roche upset top Italian Adriano Panatta, 6–3, 6–4, 6–4, to lead Australia to a 3–1 victory, winning the Davis Cup. Shoulder and elbow injuries cut short his career after having finished in the top 10 for six consecutive years. After completing his playing career Roche has developed a highly successful career as a tennis coach. He was the player-coach of the Denver Racquets who won the first World Team Tennis in competition 1974, and he was named WTT Coach of the Year. Ivan Lendl hired Roche as a full-time coach for Roche's advice on volleying. (Lendl dreamed of winning Wimbledon, and because Roche had been a fine grass court player, he sought his tutelage.) Roche also coached former world no. 1 Patrick Rafter from 1997 to the end of his career in 2002. Roche coached world no. 1 Roger Federer from 2005 to 12 May 2007. It is reputed this was on a "handshake agreement" with no contract; Roche was paid by the week. Federer hired Roche for the opposite reason that Lendl hired him: to work on his clay-court game (as Roche had won the French Open). He also coached two-time Grand Slam singles titlist Lleyton Hewitt, who was aiming to get his career back on track after a number of unsuccessful years on the ATP Tour. On the day of her first round match against Alisa Kleybanova at the 2010 Australian Open, which she eventually lost in straight sets, former world no. 4, Jelena Dokić, requested an hour-long session from Roche as last minute training. 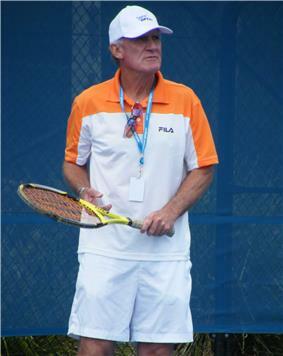 Tony Roche also coaches many junior players at Sydney Olympic Park, in preparation for their ATP junior qualification pro tours, starting in November. Roche was made a Member of the Order of the British Empire (MBE) in 1981 and an Officer of the Order of Australia (AO) in 2001. 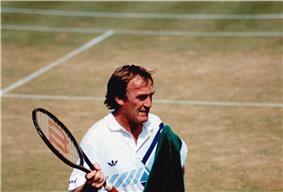 He entered the International Tennis Hall of Fame alongside doubles partner and close friend John Newcombe in 1986. In 1990 he was inducted into the Sport Australia Hall of Fame. He received an Australian Sports Medal in 2000 and a Centenary Medal in 2001.